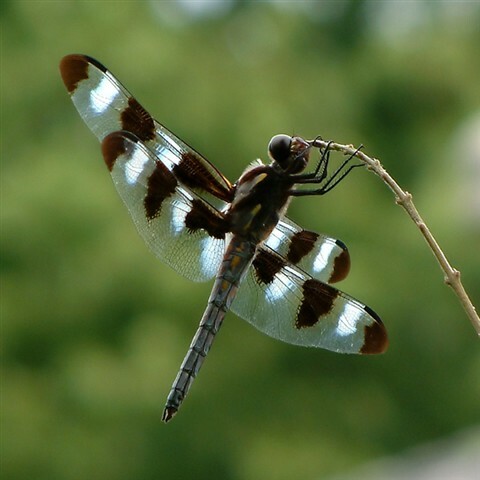 A dragonfly perched on a tiny branch. Looks like it is using it as a Saxophone. Notes: Processed in Lightroom, cropped and sharpened and exported for web.